Windy &amp; cold yesterday but this fellow posed for awhile. 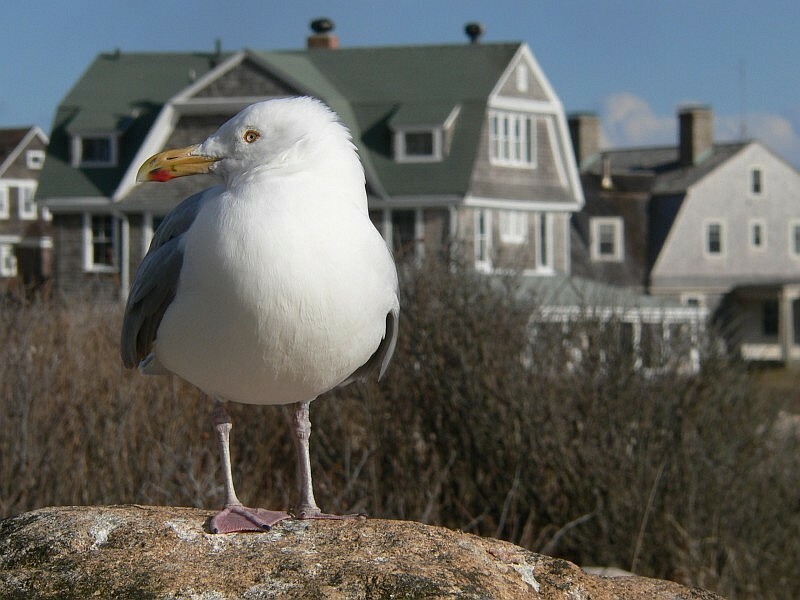 Bartender, I'll take two shots of "Seagull" on the rocks! Not as tasty as "Dewar's" but that cool breeze yesterday sure cleared out the cob webs. I'm wondering are they good in sandy beach soup? I love that first photo... A LOT! 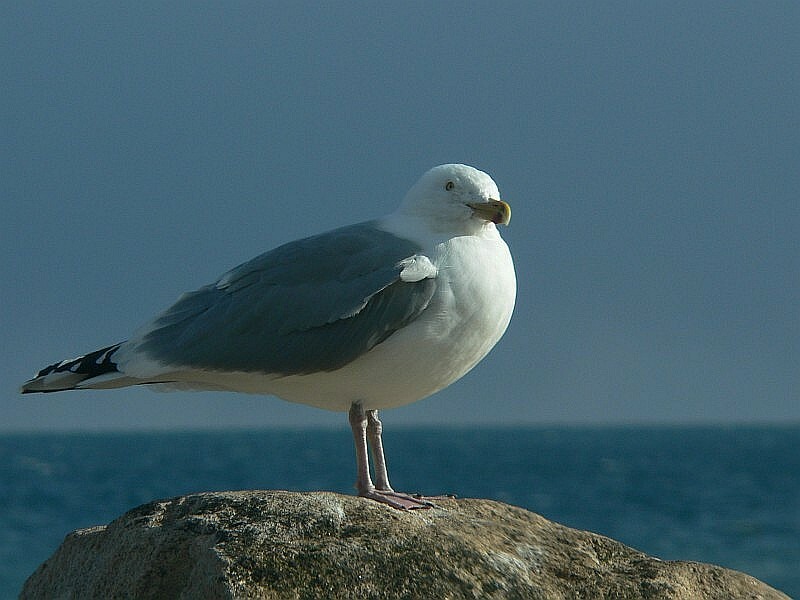 The seagull is so defined and crisp -NICE! love the first picture. Very good. Just looked again, and he has my knees. Mybe even my legs.